The first recipe I tried was a bust. I made one batch (6 large donuts) and had the second in the oven when I tasted one of the first batch. It was…well, it was disgusting. I told the husband I was going to start over, and he insisted on trying one. He tried to make a polite, “Mmm!” face, but the grimace broke through. So, I dumped the batter and searched for another recipe. 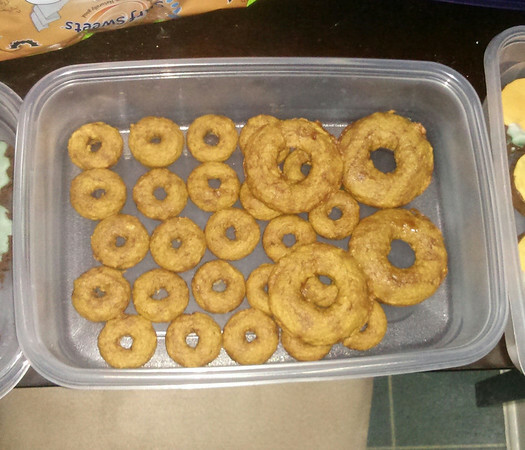 In the end, I lighted upon the Weelicious recipe for Baked Pumpkin Donuts. They turned out wonderfully, and my preschooler begged for more. In fact, he recently asked me to make them for his class for their Fall Festival. 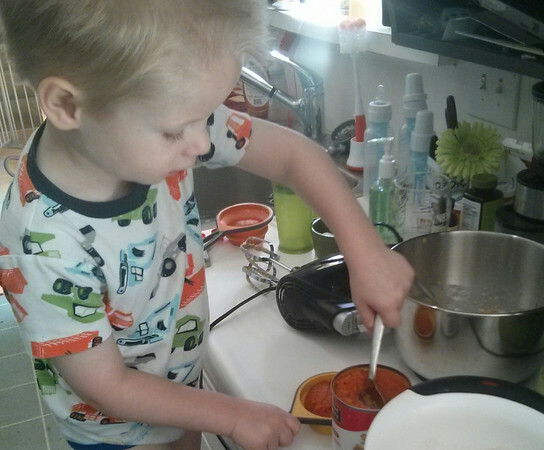 I love it when my healthy recipe experiments turn out to be yummy and popular. For milk, I used almond milk. I have also made them with rice milk because of a nut allergy in my son’s class. I’ve made them before with 2 egg whites instead of 1 egg. I did this just to make them healthier, and it does change the taste and texture a bit, but my preschooler and husband still thought they were yummy. 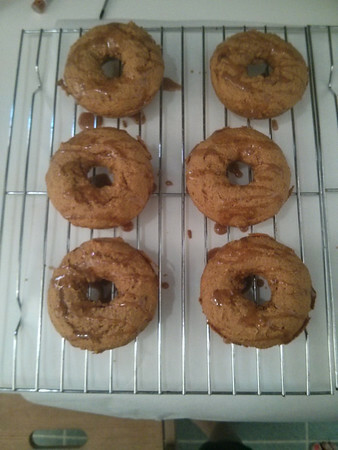 Instead of piping onto parchment lined baking sheets, I used Wilton Donut Pans. I did find, however, that putting the dough into a small ziploc, cutting the corner off, and piping the dough in helped with the small donut pan. I can’t guarantee the cute helper, but I can guarantee that your cuties will love these!